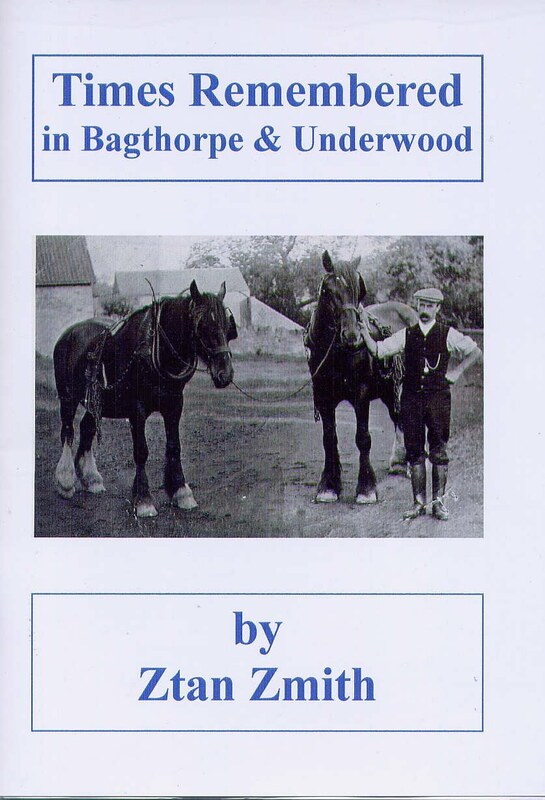 This is a fascinating book about bygone Underwood village in Nottinghamshire and as the title suggests is the first of a series which will benefit the Tower of St Michael’s church, Underwood. Teddy Rayner and his travelling theatre. 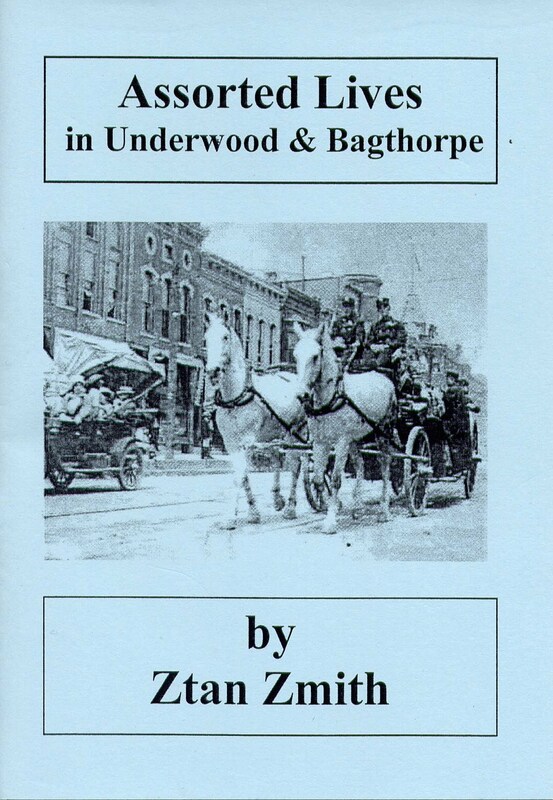 Another Underwood and Bagthorpe book. The Revd Richard Woods - the Man from Dry Docking and the building of St Michael’s Church in Underwood. 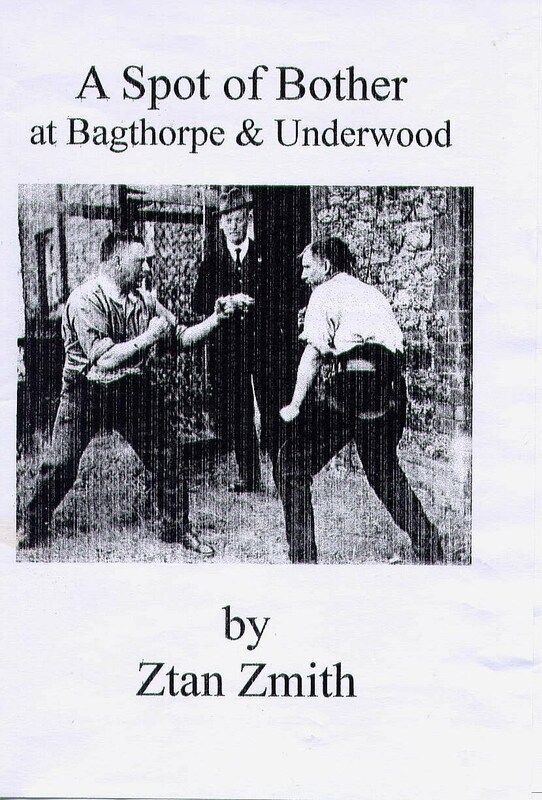 This is Ztan’s 22nd local book, many exploring D H Lawrence’s family village of Brinsley and it is his 5th Underwood and Bagthorpe book. D. H. Lawrence's father drank etc. 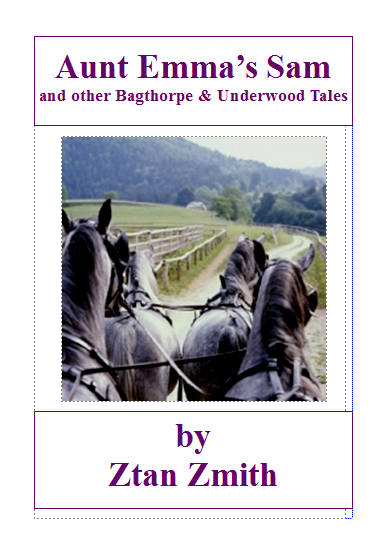 This book tells the true story of the real Miriam from D H Lawrence’s “Sons & Lovers” and the life she, her brothers and Lawrence led on her father’s farm. Life on Stirland’s Row with Ruth the Baker and her neighbours. The tragic tale of footballer William Smith and the disgraceful behaviour of Kirkby Rovers Football Club. 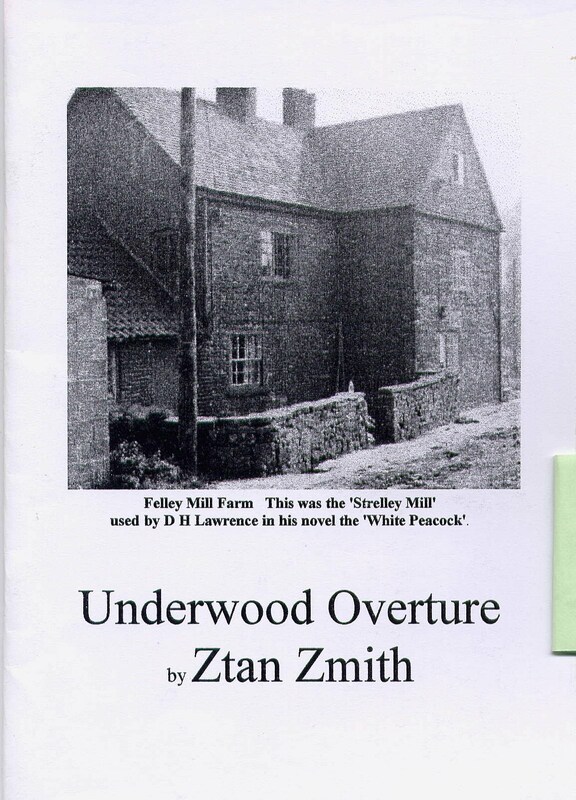 Old Time Langley Mill and Aldecar Co-op. Ginger Square and the Cobblers hut etc. 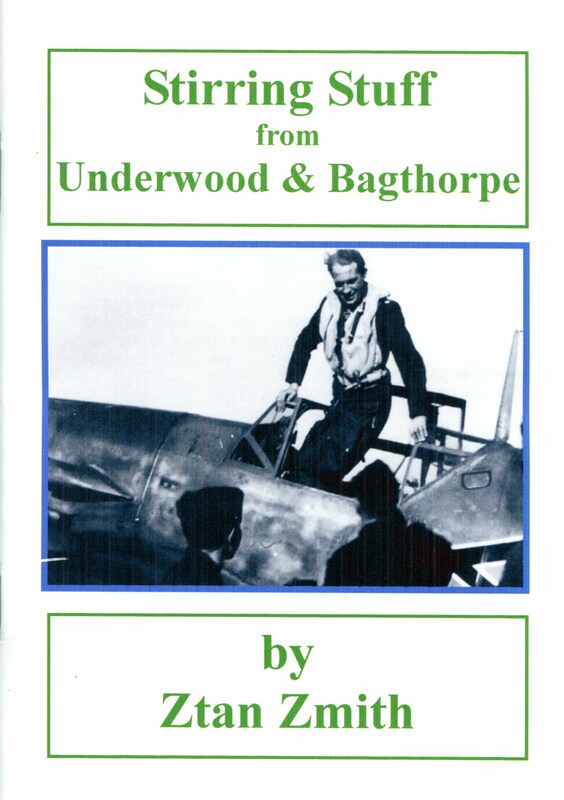 The exciting capture through a local man of Franz von Werra a German fighter ace. This story was made into a major film. 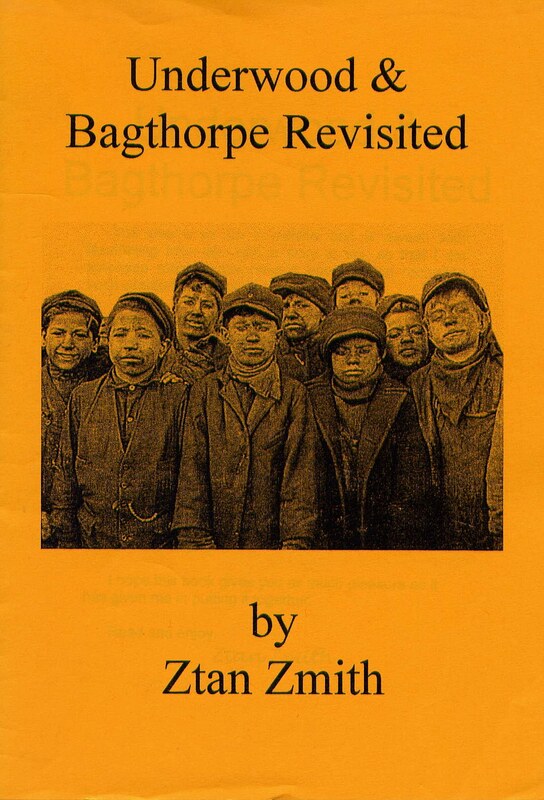 The triumph of Tenny Bowmar, a man unjustly sacked and banned by vindictive Pit owner from all his mines. Kitty Hankin, the daughter of a militant trade unionist. For instance there was the lady celebrating her 100th birthday; the girl who hand pumped the church organ and the collier who survived a broken back. Then there was the singer who helped win many Music Festivals; the soldier in Stalag XVIIIA and the man who had his watch stolen. Finally there was the amazing story of the Freezing Sailor who experienced more horrors and World shattering events during a couple of year’s active service than many experience in a lifetime.